The Stressless info center. Stressless design center where people can pick out the perfect chair from their home. Stressless Office is new collection of modern office seating for all of us who want more than just a seat in the office. 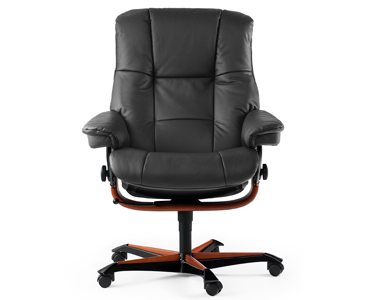 Stylish design, high-quality leather, with ergonomics to boot. At last, a beautiful chair that's truly your own. 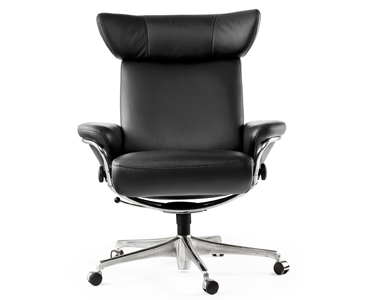 Stressless offers you a wide range of choices when selecting your new office seating. And why not add sofas, recliners and tables to your office space? Stressless designs that complement each other perfectly. this way you don’t need to worry about not finding a matching chair or sofa – and you certainly don’t need to compromise when you decorate your home. We have also implemented this idea in the Stressless® Office collection. Just find the furniture that suits you, and and match it with a complementing design. We have done our homework to give you ultimate relaxation, even when working at home, has been our main approach while developing the Stressless® Office chairs. We offer a wide range of different designs to match any decor, all with one thing in common; the unique comfort you instantly will recognize when seated. It’s the way it glides back smootly – adding perfect support in any position. We recommend that you try one of our chairs – you won’t regret it.